Take care of yourself. We'll take care of the kids. Parents Day Out is an engaging and Christ centered Preschool for your child! We offer age specific curriculum for children ages 2-4 years old. Eikon Church is excited to provide a warm and welcoming environment for your child, while you get some free time! We are passionate about investing our best in the next generation. Twice a week we’ll gather with your children to learn, grow, and develop their skills to be spiritually, academically, and socially prepared for the entrance into the next step of their lives. Every Monday & Wednesday from 9:30 AM-1:30 PM. We strive to create experiences that your kids will love! Each day we offer age-specific activities designed with your child in mind. We pack each semester full of special memorable experiences with visits from our local fire department, police department, petting zoo and much more! Your child’s safety is our number one priority. Our facilities are both safe, and secure. Children are under constant supervision by our trained staff and teachers. We have policies and procedures in place to ensure the safety and protection of each child. We want you to enjoy the day off without breaking the bank, so we strive to keep costs as affordable as possible. We even offer discounts for families with multiple children. Eikon’s Parents Day Out (PDO) Program utilizes teacher planned lessons that follow a Scope and Sequence based on weekly themes. Lessons will include letters, numbers, colors, shapes, and Bible stories. These lessons will be reinforced through age appropriate activities including: art, building blocks, puzzles, manipulatives, reading, creative play, and much more. We understand that each child develops at their own pace and are prepared to meet them where they are. A Weekly Newsletter that highlights activities from each day, the bible lesson of the week, the letter of the week, and any reminders for you! Throughout the semester we will have exciting events that you will be made aware of and invited to join in on. Previous events have included: Holiday parties, Fun in the Sun day, visit from police and fire men, petting zoos, and many more. Teachers are readily available to discuss any of your child’s needs and work with you to ensure they have the best experience possible. You can also expect your child to be thrilled to return to “school” each day and to show you all that they have been creating and learning! Tiffany grew up in Duncanville, Texas. She is married to James, and is a mother of 5 amazing kids, and she’s homeschooled all 5! She has over 8 years experience in teaching and directing preschool programs. 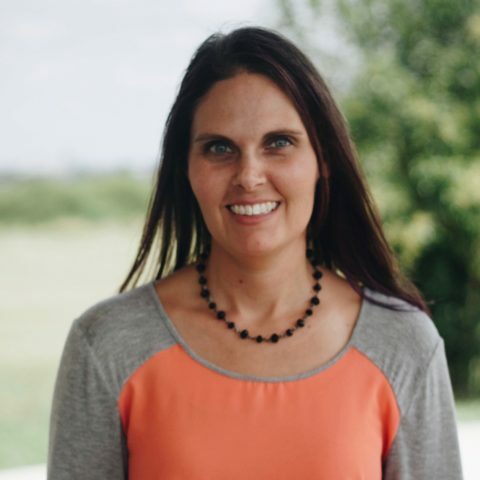 She is passionate about helping children develop a love for learning, and ensuring each child knows that God loves them. Tiffany has a heart to see Parents Day Out bless each family it serves in the Hays County community. The base rate is $199 per month. You can save over $70 by registering for the full semester. We currently offer classes for children from 2-4 years old. What days of the week you meet? Parents Day Out is available every Monday and Wednesday. What does a typical day at Parents Day Out look like? Yes! Our drop-in rate is $30 per day. You can call or email ahead for drop-ins. Ready to get involved in Parents Day Out? We’re here to help! Fill out this form and we’ll reach out to answer any questions you have.